sorry I’m running a little behind schedule today, but it’s worth the wait because today’s post is a pretty one! 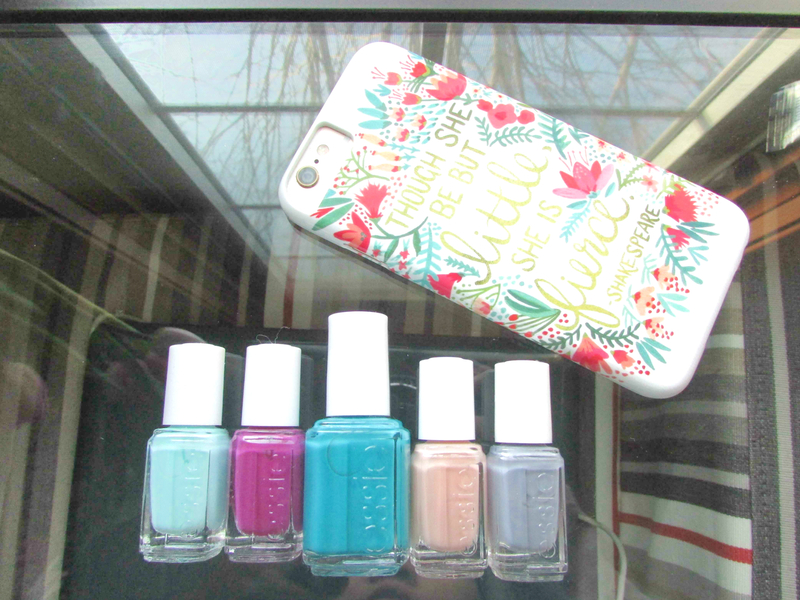 if I were to determine my favorite nail polish brand by the number of shades I own, essie would be far & away the winner. I love the colors, the formula (for the most part), & the design of the bottles (so easy to store). 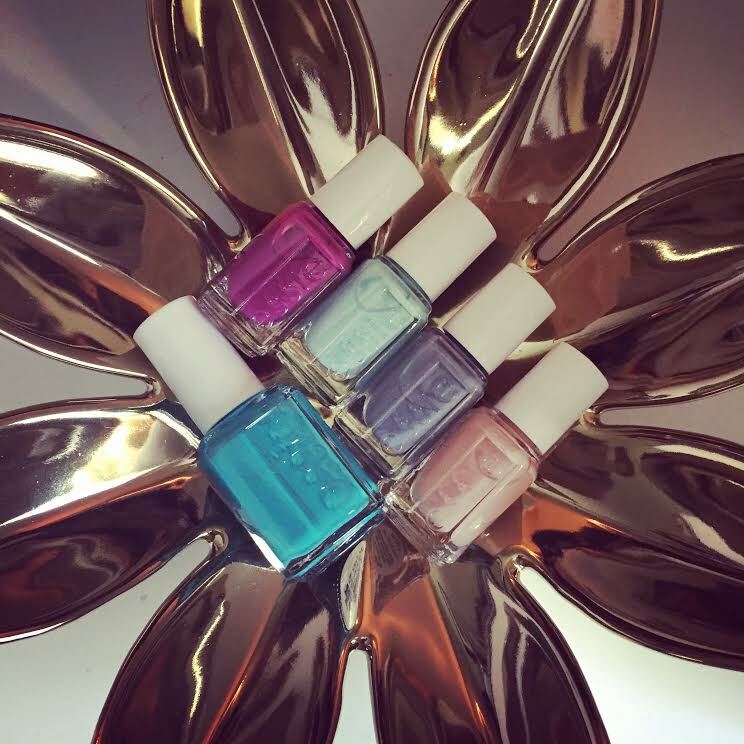 lately, though, it seems like every new essie collection is reminiscent of a previous one, (which is understandable to a degree because there are only so many shades of a given color you can do) which left me feeling a little underwhelmed by the offerings. this collection though was love at first sight. maybe it’s been the seemingly never-ending winter that’s made me a little crazy over anything resembling spring, but come on, those colors are just so happy & bright & just so, so good. I bought the mini 4-pack that included blossom dandy, petal pushers, flowerista, & perennial chic, & the full-size bottle of garden variety. I chose to forgo the sixth shade in the collection, picked perfect, because I didn’t think it would go well with my skin tone. the formula was really good for flowerista, petal pushers, & garden variety – if you played your cards right, you could do a one-coat-wonder, but I just did my usual two. as with a lot of lighter colors, perennial chic & blossom dandy weren’t quite as easy – the first coat was a little streaky, the second still had some uneven spots that I had to touch up – but nothing truly horrible. 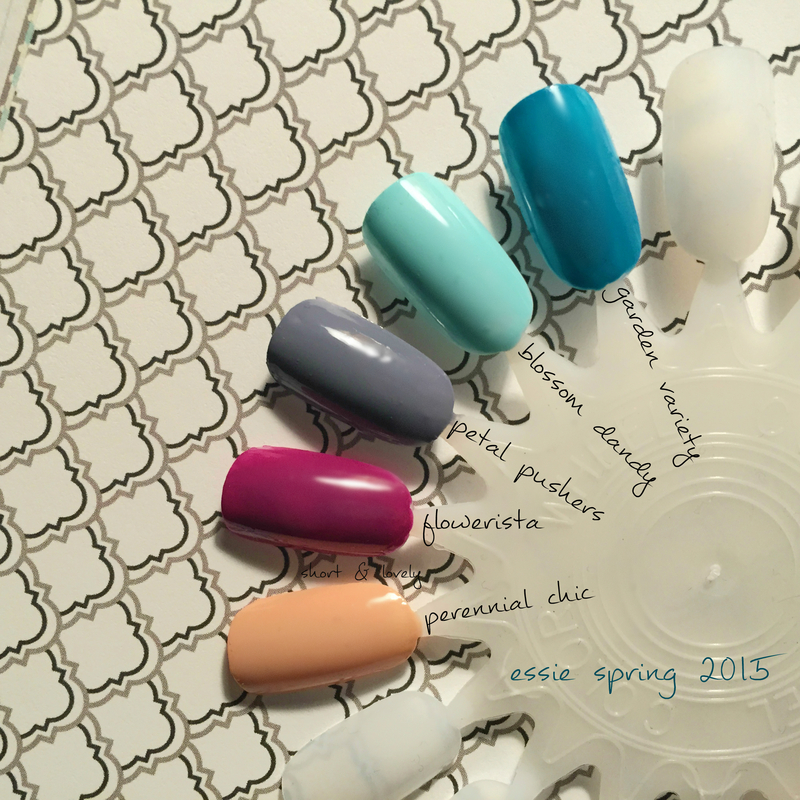 as far as finicky, lighter colors from essie go, these were pretty good to work with. my favorites are flowerista, garden variety, & blossom dandy, which is very similar to mint candy apple but somehow different. don’t ask me how; it just is, & I love it. I don’t have a comparison shot because I’m just not cool like that, but here’s one. see? I told you it was different, wink. bottom line, this collection is lovely. have you tried it?